For a first, interesting impression of our range of services, our branch in Hamburg is your ideal starting point. 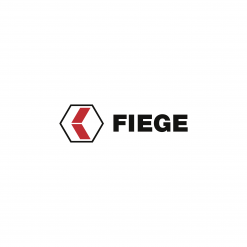 Our competent, highly-flexible on-site team benefits from the FIEGE Group’s years of experience. Our logistics compound offers the maximum possible flexibility of space which can be customised and dedicated to individual usages, and caters to many value added services that go beyond core supply chain operations. We also take charge of your transports – starting at procurement, to the distribution by road, sea or air – fully customised and in line with your priorities. Moreover, we even handle all customs procedures along the way. Our excellent location right in the heart of the supply chain hub of Hamburg makes the FIEGE Mega Center a facility within immediate reach of Hamburg’s international port as well as two of Germany’s crucial federal motorways. Its short distribution channels make it even more appealing. Have we peaked your interest? Or do you simply need advice on a supply chain matter? Then be sure to connect with us. As a pioneer of contract logistics, we create complex supply chain systems along the value chain. Our experience in aligning our focus with the essence of a business produces distinctive advantages for customers in terms of innovation, efficiency and quality. The result: solutions that fit your requirements to a T.
Many different value added services, supported by cutting-edge technology are just as much part of our services portfolio, as is classic warehousing. Our innovative warehouse management system forms the basis for our complex supply chain solutions and offers diverse reporting options. Next to inventory management our experience-based yard management is rounded off by competent in-house logistics and an intelligent IT and project management. We provide contract logistics solutions set in a dynamic environment with established procedures. So come and talk to us! We handle the assembly of full tires, labelling tires, returns management as well as importing, exporting and customs clearance. We provide quality control including functional testing (FLI) as well as kitting / SET building, stickering and sampling of imports. We are happy to manage your sample stock. In Hamburg, we manage an excise and buffer stock warehouse for you and provide value added services for display building, stickering and sampling imported goods. Next to stickering and labelling we offer cross-docking activities. Especially for your returns management, quality management, order and debtor management you can draw on our years of experience. Customer Services can also be set up any time for you. Looking for a competent partner to handle your promotional non-food merchandise? Even when it comes to processing promotional campaigns, we are happy to lend our support with advice and assistance. FIEGE offers a full solution, from acceptance of the merchandise at, e.g. the freeport, to delivery to the central warehouses of major retailers; from exemption and customs clearance of import containers, to the transportation to the warehouse and storage until delivery to the final recipient: Our offer tends to all intersections of the supply chain. Naturally, we cover everything from advice to service within customs clearance, container trucking, offloading, consolidation of consignments and on-time delivery. Inside the warehouse, we offer block storage and shelf storage, plus special services such as repackaging, labelling or finishing at our logistics center. Your next container is already waiting? Talk to us any time! For national or international road transports FIEGE has a transport solution geared towards your very requirement. We handle LCL, part and full loads but also groupage transports at home and abroad through our networks and highly-efficient partners. International and national road transports as well as courier, express and parcel delivery services are part of our services portfolio – an offer that is rounded off by tracking & tracing as well as container trucking. Whether you are organising a transport that departs from your base, or a coherent concept for your procurement traffic, you will find FIEGE to be a competent partner for all your transport requirements. Whether Fair Trade coffee from Brazil or a full container load of machine parts and garments from Asia: no matter what you wish to ship, FIEGE has the best possible solution ready for you. An excellent global network, fruitful contacts with most shipping companies and experienced personnel paired with genuine enthusiasm for the business make up the FIEGE advantages. We are neither too small to meet your needs, nor too large to forget where we come from and where we want to go to. Whether part-charter or full-charter air freight, or importing or exporting LCL or FCL containers, we are happy to organise your cross trade or individualised door-to-door transports. Benefit from FIEGE’s global network, all the way to the its own branches in China. Our Mega Center in Hamburg is based in the city that is home to Germany’s largest seaport – the gate to the world for your international trade. And customs clearance is part of this. All customs-relevant services are available on location, provided by our Hamburg-based competence center for FIEGE CUSTOMS SERVICES. We take your goods across borders with proven reliability – for imported and for exported goods. Next to classic import declarations we also take care of the Export Accompanying Document or shipping document for you. In connection with eCommerce transactions, we are also ideally equipped to process your returns. You trade in spirits? Our expert team manages the excise warehouse and operates the inbound and outbound Excise Movement and Control System. Whether a request for binding tariff information or the support with capturing products under the tariff code, you can depend on us as your competent partner. If ever post recovery or refund procedures are on your agenda, we are happy to handle your correspondence with the customs authorities for you. You can rely on the customs specialist FIEGE and benefit from our expertise. For more information about our customs services click here. We look forward to hearing from you!